Location: Laguiole, in the Aveyron departement of France (Midi-Pyrenees Region). Notes: Château de la Boissonnade is a castle of the fifteenth century, rebuilt in the sixteenth century and seventeenth century in Laguiole, France in the French department of Aveyron.The castle is in the form of a rectangular building, flanked on one side by a square tower topped by battlements and the other by a round turret stair. 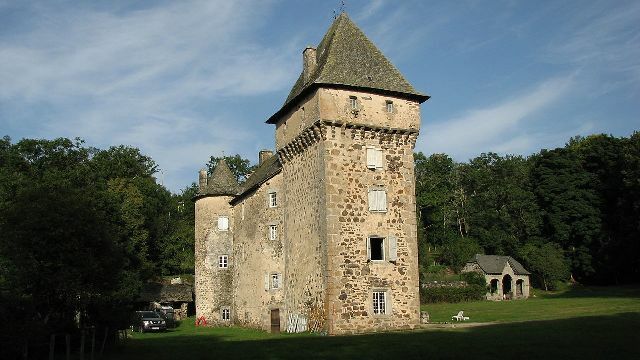 The castle is mentioned in 1437.The building is registered as historical monuments in 1928.